Authenticity matters in media, and it matters in games too. Titles like Call of Duty, Medal of Honorand many others employ military advisors to improve the authenticity, and hence the sense of realism, for the player. Any game, even one set within a fantasy world, can benefit from this, which is why it was key to us in the making of Call of Cthulhu: The Wasted Land. Although the game is partly based on works of horror and science fiction we wanted to make the World War I setting as authentic as possible. The Wasted Land is a strategy RPG. You command a team of investigators to uncover a deadly inhuman conspiracy underlying the Great War, during which your units can and do get wounded. Of course, your team recovers from wounds faster than in reality, but we took pains to make the nature of the equipment and process used as authentic as possible. And because there was little out there to inform us, we’re grateful to a small grant from the Wellcome Trust, which allowed us to research thehistorical medical information we would use in the game. This post was picked up by the front page of Wordpress.com and has become of the the Wellcome Trust's most popular posts as a result. There is a longer version of this article over at PocketTactics. A recent game release that has done well both critically and with fans is Crysis 2. A ‘First Person Shooter’ (FPS), the player looks through the eyes of the character they control, shooting enemies and being shot at. That’s all good fun if you like that sort of thing, but why are we writing about it here? 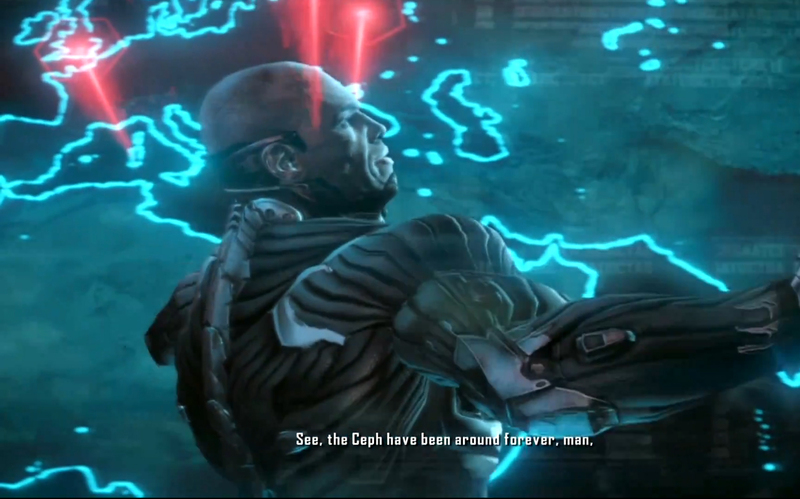 Well, like Deus Ex (covered in an earlier post), Crysis 2 explores a number of interesting biomedical ideas. The story is set in a war-torn Manhattan, where an alien incursion has turned the city into a dangerous no-go area. The few civilians who remain have become infested with an alien virus, while the aliens themselves have set about building mysterious funnel-like structures that reach into the sky. You play a rogue solider equipped with a powerful state-of-the-art nano(technology)-suit who is hunted by both the CEPH (the aliens) and human forces trying to control the area. The player’s technologically advanced suit is a pawn in a much bigger game that many people wish to possess.